It’s good to know that across Texas there are thousands of people devoted to the wild things and wild places of our state. 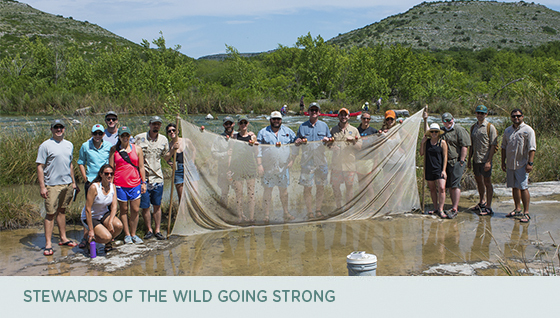 From the professionals who work at Texas Parks and Wildlife Department, to the staff and volunteers who support dozens of nonprofit conservation organizations, there are plenty of people who are passionate about keeping it wild. TPWF is launching a new video series to highlight the people and projects that are conserving the lands, waters and wildlife of our state so that all Texans can enjoy them. 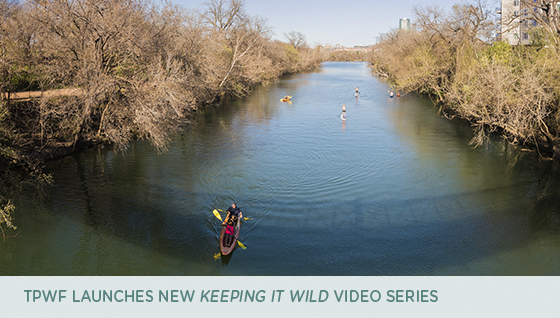 Our first segment features the Texas Paddling Trails program. 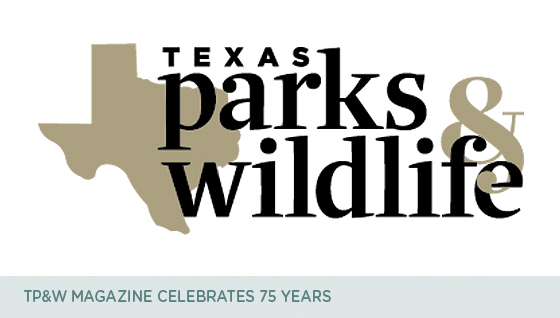 Happy 75th birthday to Texas Parks & Wildlife magazine! It’s the oldest continuously published magazine in Texas, and that’s certainly something to celebrate. Each month this year, the magazine is focusing on different aspects of its storied history. 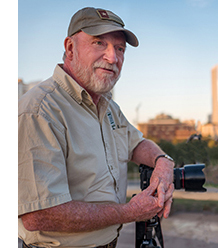 We’ve always appreciated the spectacular photography in the magazine, and with that in mind, we asked TPW Magazine Chief Photographer Earl Nottingham to join us for this month’s Texas Parks and Wildlife Podcast. We’re pretty sure that Earl has the best job in the state of Texas. Listen in to hear about some of the adventures he’s had along the way. Getting young people involved in the outdoors and in conserving the natural resources of Texas will ensure that these treasures will be available for generations to come. That’s the idea behind Stewards of the Wild, a TPWF program for young professionals. The first chapter started in Dallas in 2013 and chapters soon formed in Austin, Houston, Fort Worth and San Antonio. This month, the newest group will launch in Midland. Members enjoy social events with like-minded people, learn about conservation issues, and have the opportunity to participate in unique outdoor adventures that combine learning with fun. In a trip last year to Devils River, members got to experience the crystal-clear water of one of the most beautiful rivers in the Southwest. A fisheries biologist also taught them how to use a seine to learn about river ecology. Find out more below.